With yesterday’s snow day it feels like Monday all over again! Thankfully it’s actually already Wednesday so let’s hope the rest of this work week goes by quickly. Over the weekend, before all this snow business, I went out to dinner for my cousin’s baby’s month old party, a Chinese tradition. 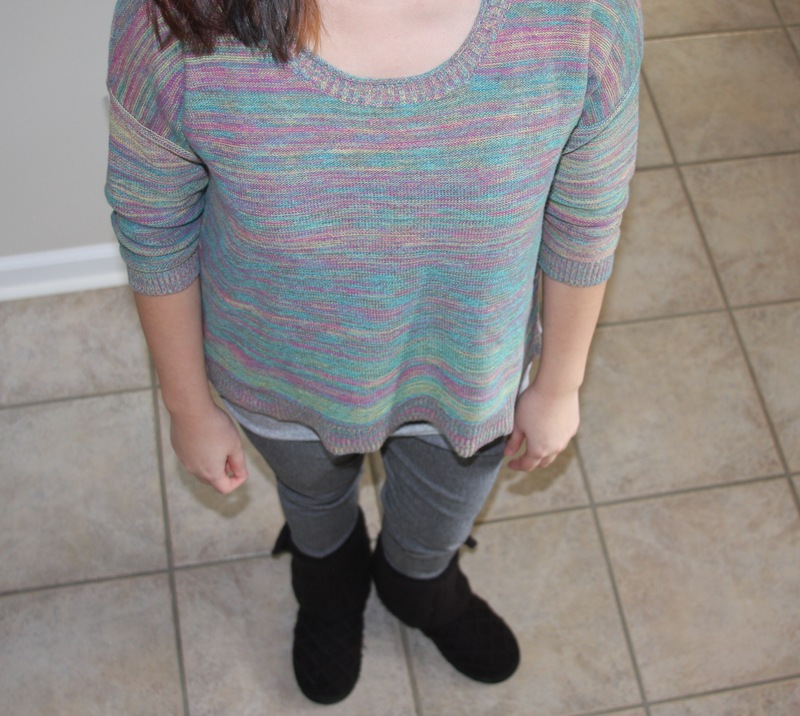 It was a very casual dinner at a nearby restaurant so I decided to wear this multicolored marled sweater and jeggings. I love marled pieces. It gives sweaters, tank tops, tops etc. so much more dimension. While a popular marled look is grey and black (and I do own a couple of those), this multicolored sweater is fun and more casual. Multicolored marled sweaters might be a bit harder to dress up – black & grey is far easier, but the multicolored has a cool effect and is perfect for a low-key day.